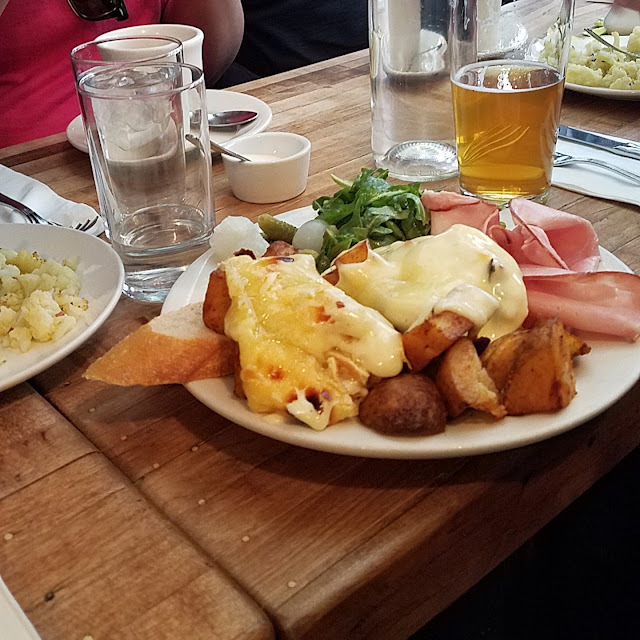 Yesterday a few of my friends and I went to brunch at Raclette to partake in the goodness of all things cheese. They are known for their Raclettes which is a rack melted alpine cheese that is scraped on top of the meal you ordered. Everything is better with cheese, right? 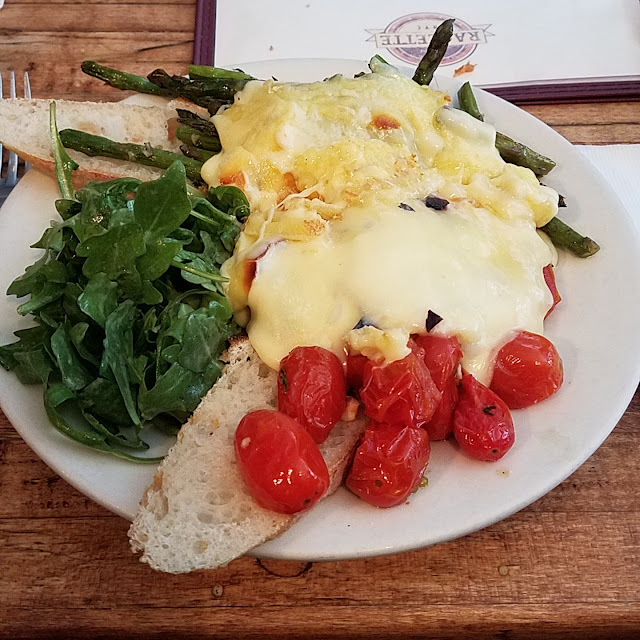 I ordered the Meditterranée which featured cherry tomatoes and asparagus and also included an arugula salad and a baguette. A couple of my friends ordered the Suisse with the prosciutto. The food was quite good but was not as amazing as we had hoped by the reviews. NYC - where are your favorites for lunch and brunch? New York City winters have been known to be notoriously dry... One of the best ways I to keep my face moisturized is with a face oil. Even with my combination skin that can go from semi-oily to semi-Sahara dry in a matter of moments. As a result, I've amassed a collection of oils that are essential to keep my skin happy and balanced as possible. I prefer to utilize oils on a freshly washed or showered face - I take a drop in between my palms on clean hands, gently rub between my palms and then I pat on my face and then gently rub on my cheeks, forehead, nose, and chin as a face massage and to ensure absorbtion. For my eye area, I pat with my ring finger and oils are amazing for the outer corner of my eyes as that area gets super dry for me. After a couple minutes, I then apply a light moisturizer and eye cream to lock everything in and to provide a nice base for my sunscreen and if I am wearing makeup that day, my face primer. If I am not scheduled to work or to go somewhere other than the gym or grocery store, I avoid wearing any sort of makeup. I am self conscious of some skin issues including melasma and discoloration but I know my skin needs to rest. 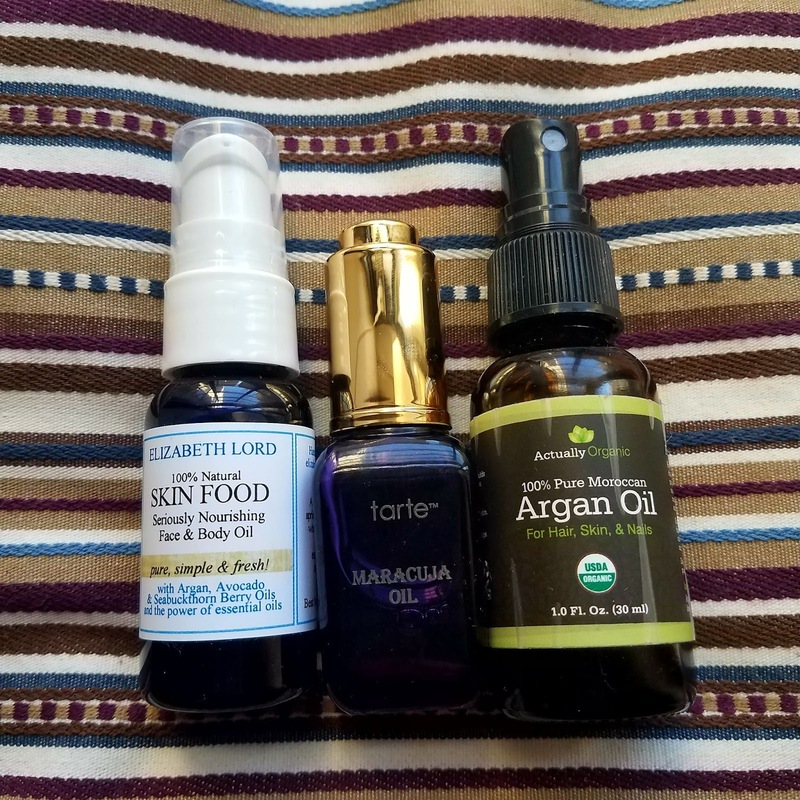 Elizabeth Lord Naturals Skin Food is the oil that started my obsession with oils! I always buy this when I am in my hometown (or my mother sends me a bottle) and this mix of avocado, apricot kernel, coconut, argan, seabuckthorn, and wheat germ oils with essential oils of lavender, rosemary, and patchouli. I barely use a drop but this helps keep my skin happy. I originally received my Tarte Majacuja Oil in an Ipsy bag and I do like this one as well. This oil is rich in vitamin C and has a nice light texture. I prefer this oil on the days where my face seems to be a bit on the oiler side as the product claims it helps with sebum (oil) production. According to Tarte, the oil can also be mixed in with a favorite moisturizer. Argan oil has also been talked about quite a bit as a the topic of oils surfaced on the beauty blogs and the like. Actually Organic's Argan Oil is my go-to on the days where my skin is beyond dry and it need of some extra moisture. I prefer to use this one at night vs. the day as it feels a bit heavier on my skin and may interfere with makeup application. However when I apply at night, my face feels super moisturized in the morning. 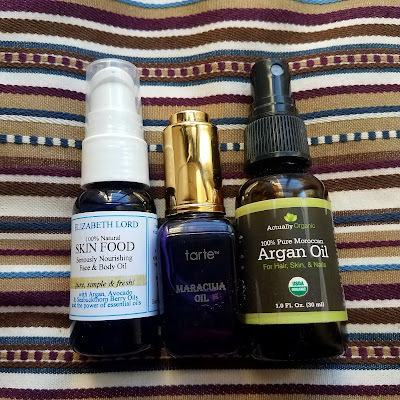 What's your favorite face oil and way to utilize them? I have heard of mixing a drop with foundation but I have yet to try it. Let me know in the comments!